The Highlands bedroom collection by Liberty blends transitional design with rustic style elements to create beautiful bedroom furniture. 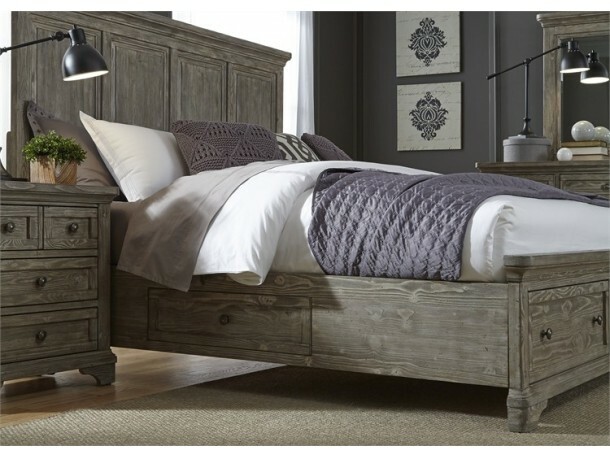 Crafted from Spruce Pine solid wood, the pieces feature English dovetail drawer construction with full extension metal side glides, antique pewter knob hardware, fully finished drawers, and bed storage. The group features a unique Gravel finish adding transitional elegance.